Product #15757 | SKU SM-206 | 0.0 (no ratings yet) Thanks for your rating! How annoying can it be when you lose GoProin the water after taking the sickest footage? Get these and you'll have your GoProcamera floating. With the bright yellow color, you will spot them quick. 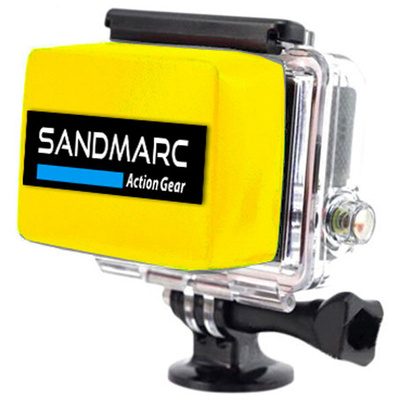 The SandMarc Floaty is compatible with all GoPro HERO3+ and HERO3 camera models. It enables your camera to float in water when it's encased in its waterproof housing. The Floaty Backdoor attaches to the backdoor of the waterproof housing with an adhesive anchor. Backdoor and camera tethers are not included, this is a Floaty BacPac only. Comes with Floaty and 3M VHB Tape ready to be applied to your existing backdoor.